We Specialize in Commercial and Residential Fly Control. 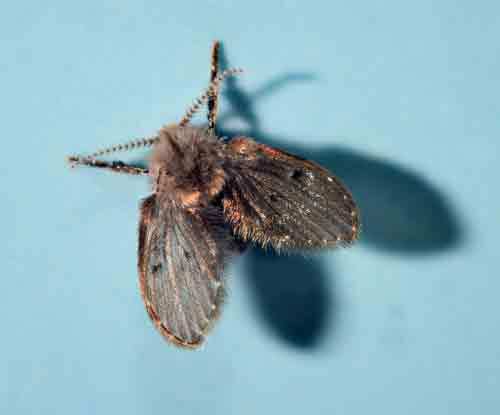 Whether its House Flies, Drain Flies or any other type of fly our Trained Flies Exterminators will eliminate your Fly Infestation. Let Us be the Fly Killer Company you rely on, Give Us A Call Today 1-844-305-8999. Flies, typically considered a nuisance, exist in all regions of the United States. There are more than 240,000 different species of flies in the world. Approximately one third of them, including mosquitoes and gnats, can be found in the United States. The most common flies are the Blow Fly, Fruit Fly, Drain Fly, Flesh Fly, House Fly, Cluster Fly, Horse Fly and the Crane Fly. See our Fly Chart below. 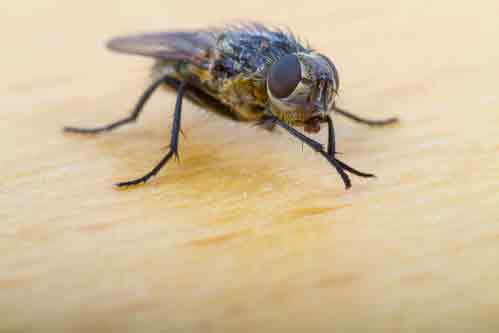 Our Fly Exterminators are trained to combat every fly species. A true fly has only one set of wings. All flies are known disease carriers, many of which can be transmitted to humans. Flies typically breed in garbage, excrement of animals and humans, sewers, compost piles, and any other place where matter is decaying. This enables them to pick up various kinds of diseases which can be transmitted to people by biting or by landing on food, where the bacteria and viruses are released. 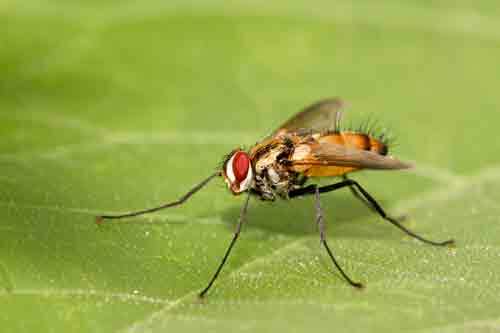 Since flies can transmit disease so easily, it is necessary to seek insect control quickly. The diseases that they can carry include malaria, yellow fever, encephalitis, dengue fever, and more. Our House Fly Exterminator utilizes Max Force fly insecticides to eliminate your Fly Infestation. All flies have a rapid rate of growth and go from egg to adult in about seven days. 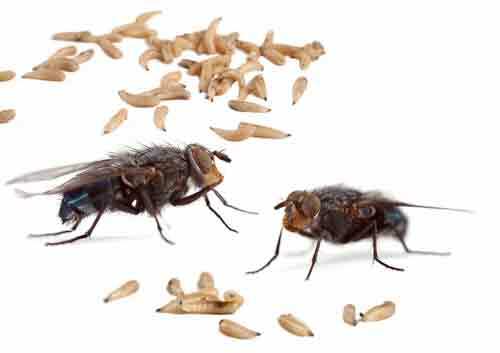 Maggots are just one stage in the early development of a fly. 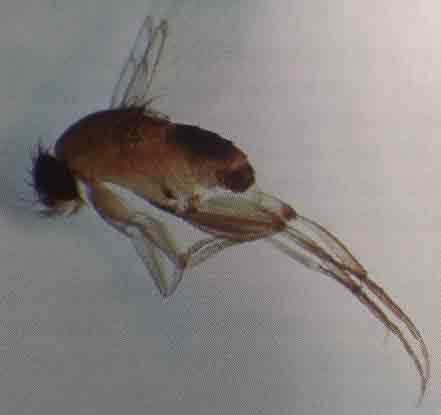 Maggots of some fly varieties, such as the Carrot Rust fly, can be a problem because they eat the roots of some vegetables. The most common flies are the Fruit fly, the House fly (which have four stripes on their abdomen), the Cluster fly (which is dark gray in color), and the Garbage fly (which has a metallic color that is either green or blue). Another kind of fly, the Stable fly, typically exists around livestock. The Horse fly and a few other varieties of flies have mouth parts and can bite humans. 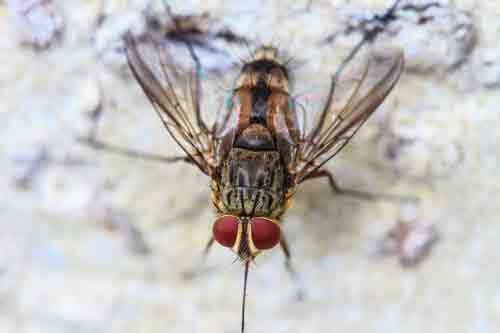 Most other flies have a sponge-like mouth and can only drink up their food. If you have a Fly Infestation problem our fly exterminators at Dependable Exterminating are the ones to call. 1-844-305-8999. 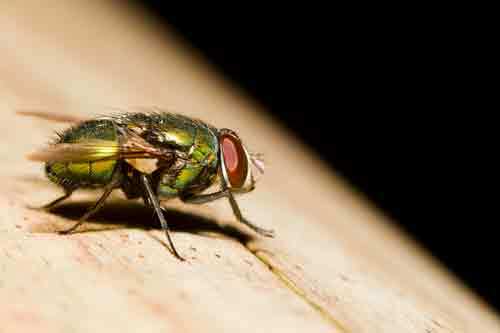 One benefit of flies is that they help reduce the population of other pests. They also help to break down carcasses and other decaying matter faster by preparing it to reenter the ground. 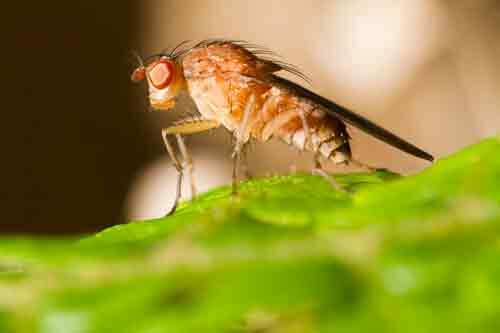 Properly controlling flies includes not only killing the adults, but also destroying their eggs and larvae. 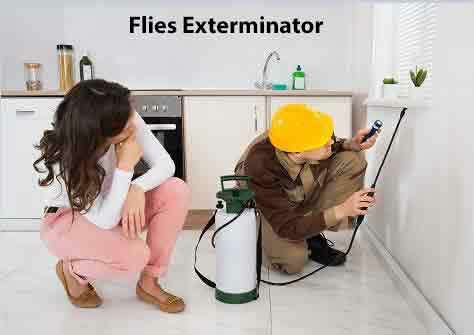 Call Dependable Exterminating's House Fly Exterminator to manage any fly problems you encounter. 1-844-305-8999. Our Fly Exterminators are NYS Certified. Dead Animals, meat scraps and wet garbage. Lays eggs in earthworm burrows. Gelatinous material found in sink drains, traps and sewers. Also, decomposing foods that are becoming liquefied. 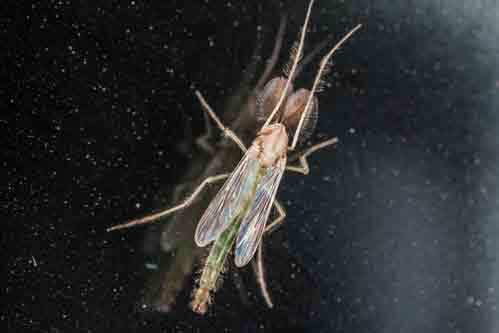 Fungus gnats Fungus on decaying vegetation found in moist soil in flower. Animal feces, dead animals and meat scraps. Decomposing fruit, but will breed in fermenting beer, vegetables, mops, rags, drains, pet food and condensation or leaks from appliances. 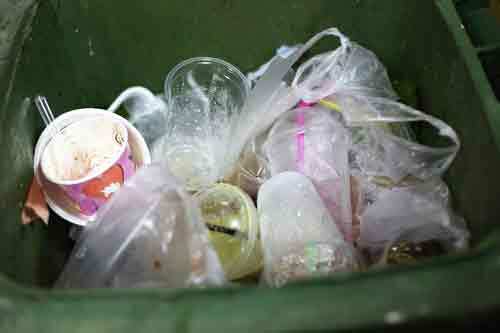 Food and animal feces in dumpsters, garbage, and compost piles. Water, especially still water, soil where garbage leaks or garbage cans are rinsed and mops and cleaning rags can be a problem too. Decomposing plants and animals such as buried animals, garbage, or broken underground sewer lines.